Just a quick note that yesterday at 12:52 PM EST we had a very strong X1 class solar flare, a rare 'magnetic crochet' variety, which mean that instead of waiting for some time (days) for the CME (Coronal Mass Ejection) to hit Earth, the magnetic crochet causes a upsurge in the ionization of Earth's upper atmosphere while the flare is taking place. 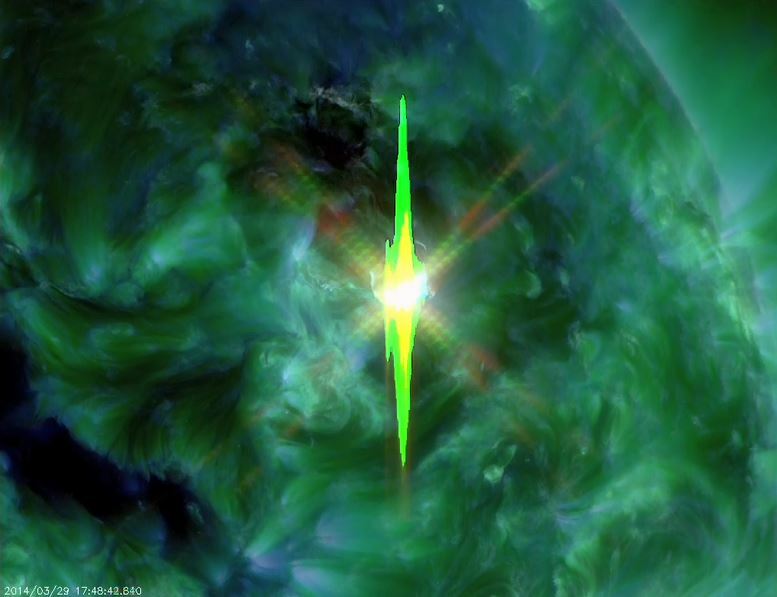 Flare experts suggest that more flares may be expected this weekend, a 55% change of an M-Class flare and a 20% chance of another X-Class flare. And to top it off, we have New Moon at 2:48 PM EST today, which looks to be a powerful and sensitive one. I also have books and videos on the Moon and lunar events at the above link. So, folks, we are rounding a corner from the often-troublesome days before a New Moon and ready to start a new cycle. I know I am ready for a change. How about you?